What is the purpose of this new module? 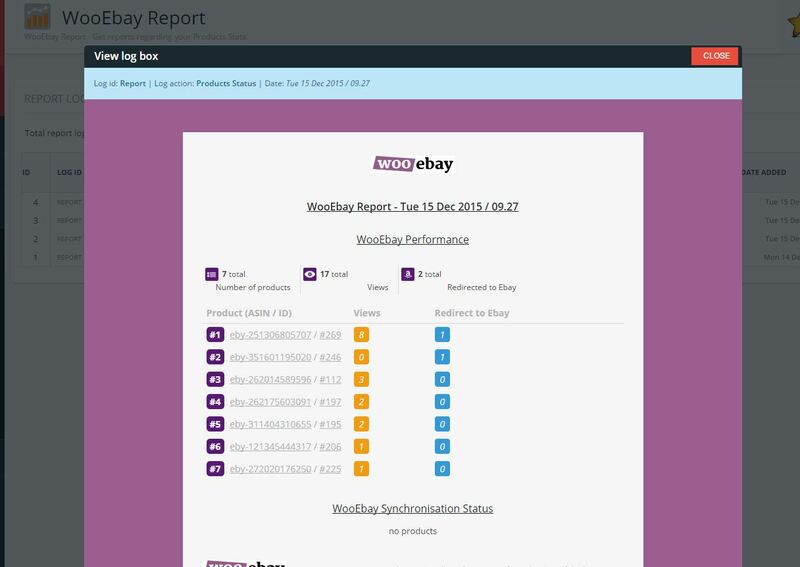 Well, as the name says for itself, it’s a reporting module, specially made for keeping track of the products imported from amazon (how many views they had, added to card, redirected to eBay) and to keep track of the synchronisation log – what and how many products were synched. Quick steps in order to use it! Go to Plugin Cronjobs under Plugin Status. Activate the wwcEbyAff_Report. Report Recurrency – select how often you wish to receive a report. You can set it up from 12 hours to once per month. There’s also a button where you can send the report immediately. Email to: setup the email address where you wish to receive the report. Email subject – Setup a custom subject so it’s easier to recognize the report. You can also see a list with all the reports that were send via email, and preview them in the admin area. What’s the cool thing about it? Well it comes via e-mail, and you can setup to receive an email containing these statistics on at least 12 hours and up to once per month. 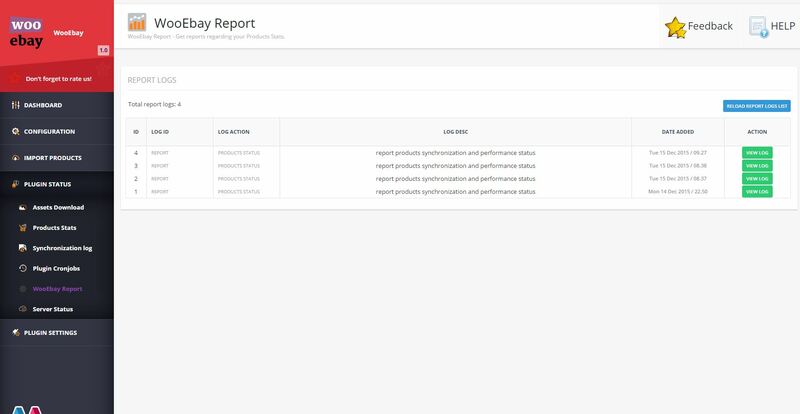 You can also see a report in the administration area.